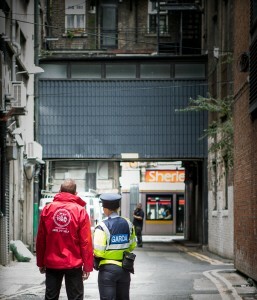 DublinTown work closely with the Gardaí in both Pearse Street and Store Street Stations. We regularly organise briefings on crime and fraud prevention and liaise with the community Gardaí to provide support to DublinTown members where needed. ‘I have worked in the city centre for many years now both in Pearse Street and in Store Street. I was an Inspector in Pearse Street when the BIDS concept was first considered for the city centre and I have been a keen observer ever since. Since taking up the position of Chief Superintendent at Store Street in 2009 I have experienced an ever increasing engagement with BIDS and have changed from being an observer to consider BIDS as a key strategic stakeholder in the development and delivery of policing services in the city centre. I can say without fear of contradiction that BIDS has significantly influenced policing strategies and indeed the mindset of police practitioners in the city centre and this has resulted in an increased customer focus and results orientation for policing in this area. The development of policing strategies in the city centre is no longer a unilateral process in which the police decide what service will be provided to its constituents, it has now developed into a stakeholder influenced approach which attempts to meet the needs of customer groups. This approach has been significantly influenced by BIDS and is often facilitated by BIDS through its network of contacts in the business community and its operational/hands-on approach to problem solving. DublinTown represents its members on the Joint Policing Forum. The forum, which meets monthly, brings together Gardaí, politicians and representative bodies to discuss issues relating to the policing of the city. 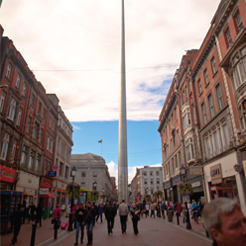 We Are DublinTown represents the voice of city centre business in discussions around concerns such as crime levels, anti-social behaviour and the concentration of social infrastructure in the city centre. It is imperative that if a crime takes place on your premises that they report it to the Gardaí. While it can be frustrating to go to court only to see a case postponed, if crimes are not reported and followed through with witness statements then the perpetrators of these crimes will not be brought to justice. DublinTown’s members were instrumental in the introduction of ASBOs which will make it easier for Gardaí to tackle anti-social behaviour. As such it is more important than ever to contact the Gardaí if you are a victim of a crime.